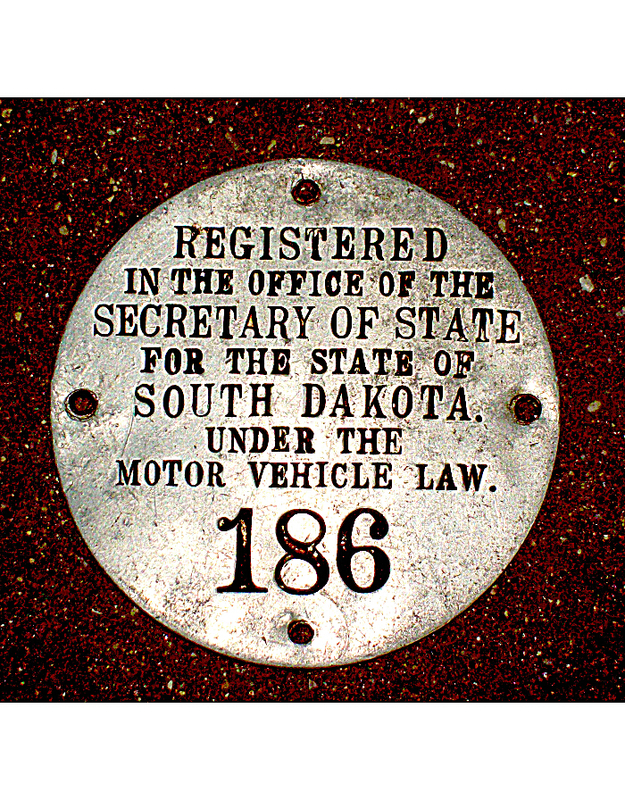 For a rural and sparsely populated state, South Dakota began registering automobiles quite early – in 1905. 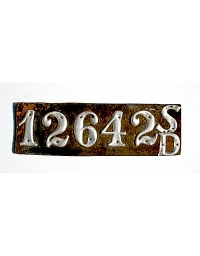 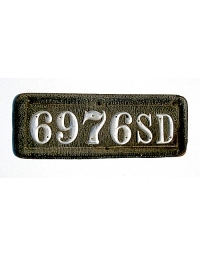 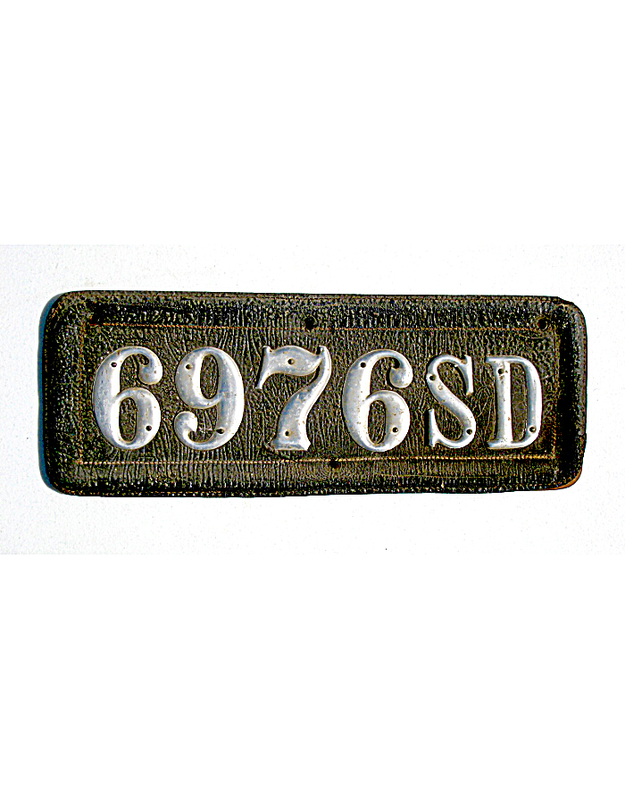 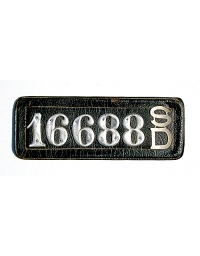 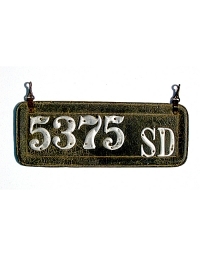 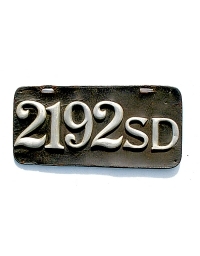 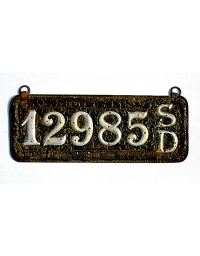 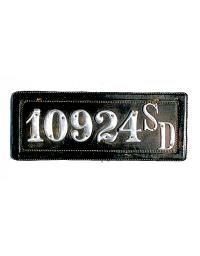 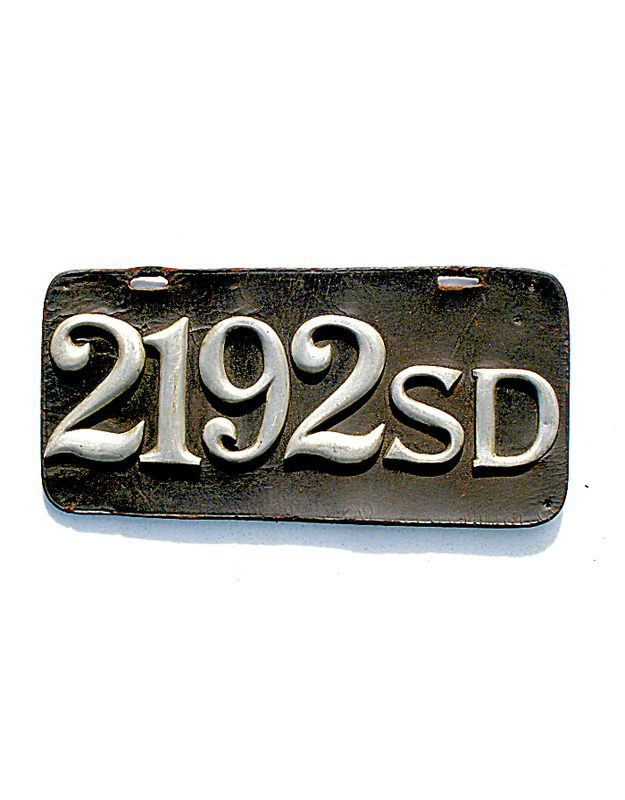 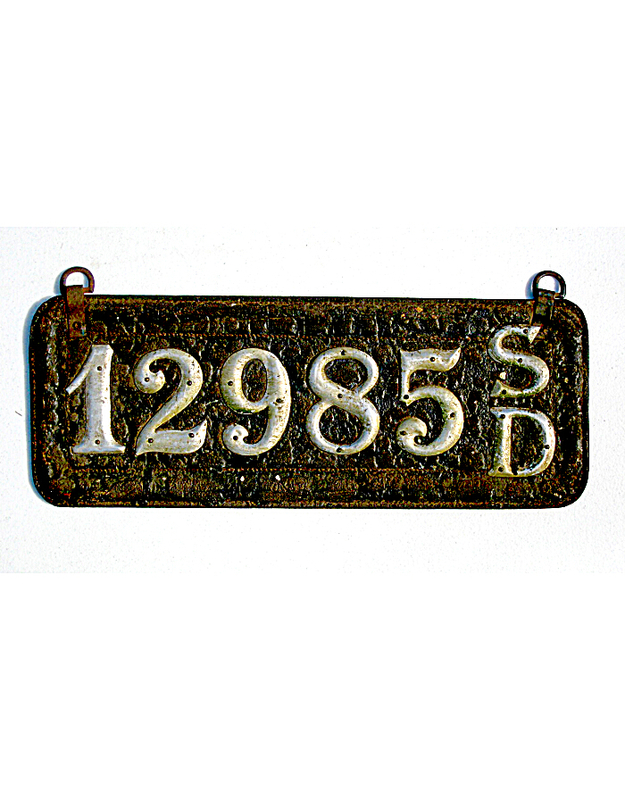 From that year through the end of 1912, South Dakota motorists were required to obtain a numbered aluminum registration disc from the Secretary of State and to provide their own license plates in any style and manner desired. 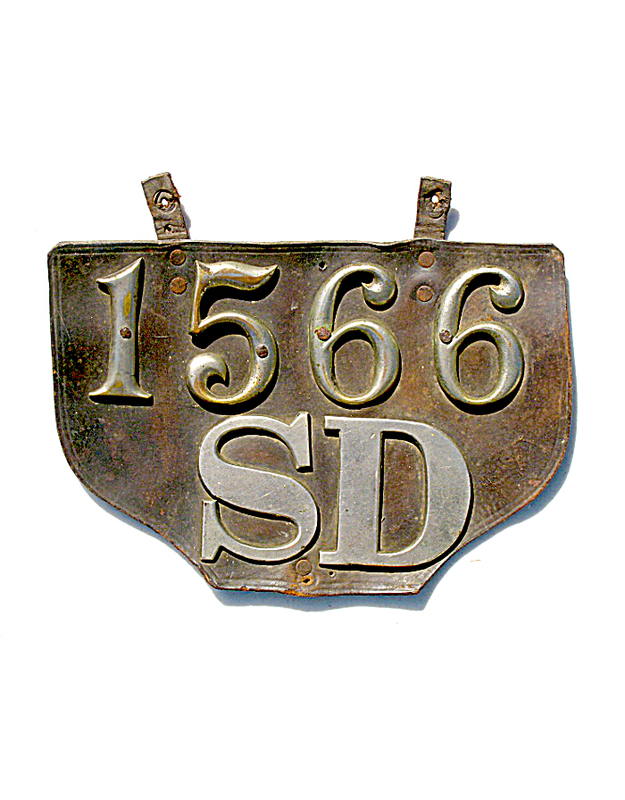 The state required all license plates to carry the state abbreviation: SD. 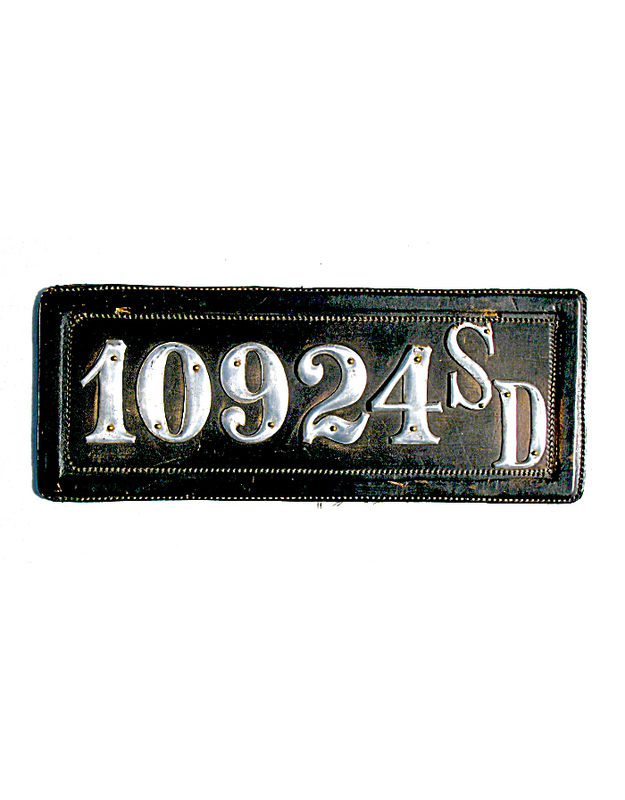 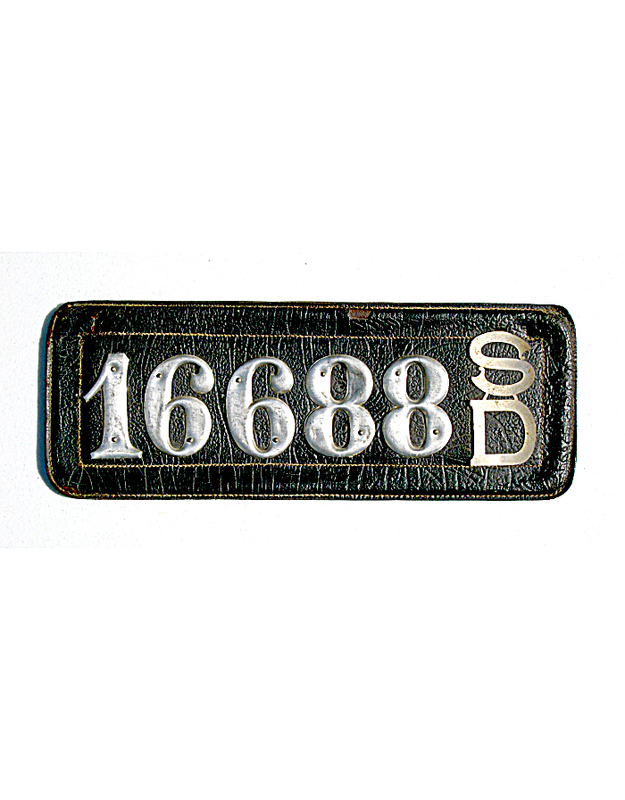 The predominant type of license favored by most owners was the typical leather pad with house numbers. In fact, very few South Dakota license plates from the pre-state era were made of materials other than leather – as could be expected from a ranching state with abundant livestock. 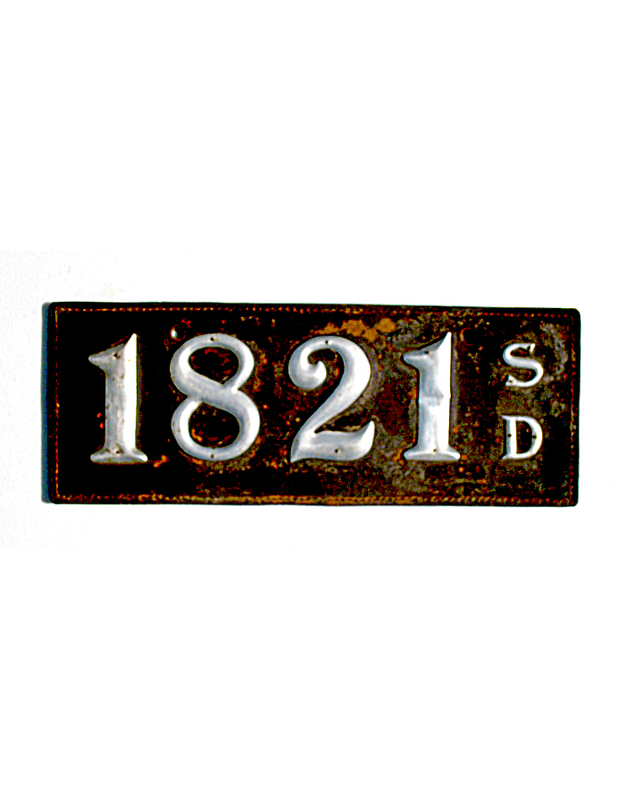 Registration numbers reached about 15,000 during the 7-years in which owner-made plates were used. 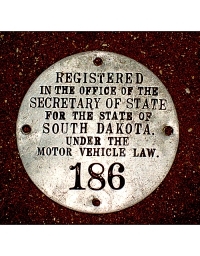 No cities or towns in South Dakota are known to have required local auto licenses in the early years.